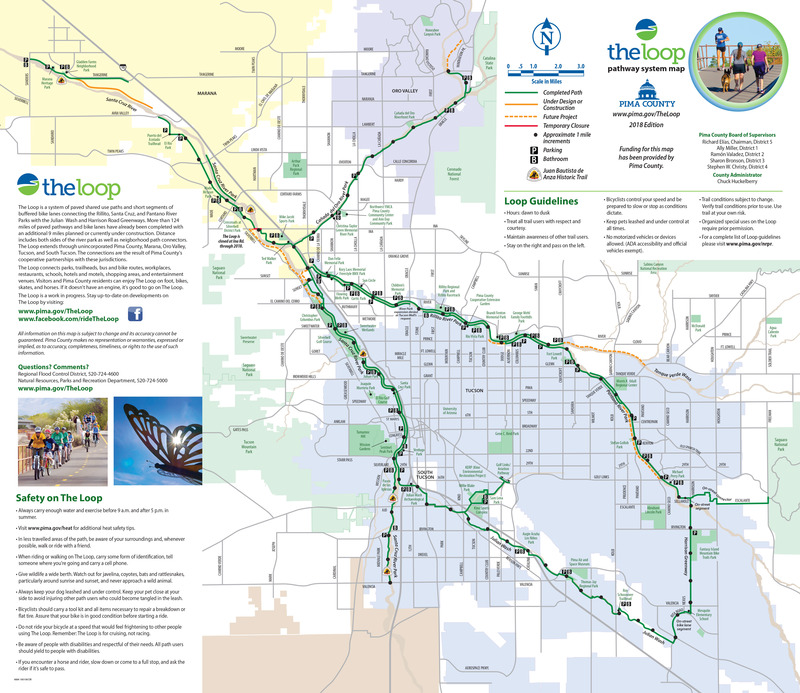 Over the St. Patrick’s Day weekend, Tucson and Pima County celebrated the completion of the “The Loop” – a 131 mile shared use trail that encircles the this terrific Sonoran Desert city and provides extensions to the south, north, and northwest. This is a perfect example of what can be done by a community to enhance non-motorized transportation in its midst. Combined with a numbers bike lanes, a bike share program, bike parking, and numerous other infrastructure, it is clear why Tucson is rated so highly by the League of American Bicyclists – Gold ranking, along with 14 businesses/schools also ranked. Congratulations on the completion of this terrific project and we look forward to utilizing The Loop during our next visit to Tucson! Hat’s off to the folks of Northampton, Massachusetts, where Pedal People has been operating a successful curbside human-powered bicycle pick-up service for garbage/recycling/compost since 2002. The cooperative has a fleet of 12 bike trailers that can each haul up to 300 pounds and a staff of 14. Quiet: There’s no engine or compactor noise with us. Less waste: Trucks are most efficient at transporting large quantities long distances. Picking up residential trash requires many stops and starts. Every time a truck accelerates from a stop, it emits soot and smog-forming pollution. Pedal People consolidates the trash and recycling, so trucks can do what they’re best at. We also provide entirely human-powered compost service for no extra charge with trash pickup. Service: We offer personalized and flexible service. All the trash (up to 30 or 60 gallons per pickup, depending on your plan) and both kinds of recycling are picked up at once — no need to remember which week is which. If you don’t want to bring your trash to the curb, we can pick it up anywhere our bikes can easily go for no extra charge. Reliability: In our 15 years of operation we’ve done 233,557 pickups and have rarely had to postpone due to severe weather. Guarantee: If you’re ever not satisfied with our service, we’ll refund the unused portion of your bill at any time. Donations: We’ll bring bags of clothing to a donation box for no extra charge. Cost: For small and medium sized pickups, our prices are very competitive, and if you’re switching from another service, your first month is free with no obligation to continue. We also offer a 15% senior discount. Particularly impressive is the fact they have nearly reached a quarter million pickups since the inception of Pedal People. Well done! We spent part of Sunday afternoon biking a portion of the magnificent Sleeping Bear Dunes Heritage Trail between Pierce Stocking Drive and Glen Haven. The approximate 10 mile round trip took us through/past a variety of lovely ecosystems including woodland, open field, wetland, and dune landscapes. The entire trail is just over 20 miles in length. One of the many highlights of our recent trip to California was a bicycle trek across the Golden Gate Bridge in both directions. With a bit of planning, this is an easy and fun endeavor for travelers to the Bay Area. Since we were not staying in the city itself on this trip, we rented our bikes from Sausalito Bike Rentals and Tours on Princess Street in downtown Sausalito (see photo at bottom of post). It is the nearest bike rental shop to the bridge and offers a nice range of riding options. Due to the very hilly and steep terrain, we rented electric-assisted bikes, which were a godsend given how worn out other less-than-seasoned riders looked pedaling uphill on the steep terrain. There are a lot of wandering and gawking pedestrians on and near the bridge and between them and the other bikers, one must be continuously cautious and patient. Both non-vehicular lanes (bay side and ocean side) are not always open at the same time. As a result you may have to carry/transport your bike down and up some rather steep stairs to cross under the north side of the bridge. There is a narrow ramp for the bike tires adjacent to the steps. The steep hills can be tiring going up, but also potentially dangerous going downhill at too fast of a speed. All-in-all, the experience was fantastic and blesses the rider with extraordinary vistas of the city, bay, mountains, and sea. Each direction offers new and delicious eye candy to savor. Peace! Saw my first-ever skateboard parking rack (see below) recently at Interlochen Center for the Arts. This ingenious idea should be employed throughout the country, particularly in downtown areas and around/near college campuses. Given the numbers of skateboarders seen in Boulder and Santa Cruz in the past, I’m rather amazed and impressed that the first one of these I’ve noticed is in NW Lower Michigan. Well done, Interlochen! Listed below are most recent average daily bicycle traffic counts for 40 bridges in the City of Minneapolis. The are only a small part of some 500+ bicycle and pedestrian traffic count locations throughout the city. Such data being available is a tremendous resource for bicycle/transportation planning as well as for safety and advocacy efforts. Hat’s off to Minneapolis!